Entertainers Gloria and Emilio Estefan have cut the sale price of their Star Island (Miami) guest house property – which has not been on the market since 2017 — from $40 million to a paltry $32 million. The property boasts a great view of downtown Miami, as well as a laundry list of showbiz guests, such as Jennifer Lopez, Cher and Ricky Martin. 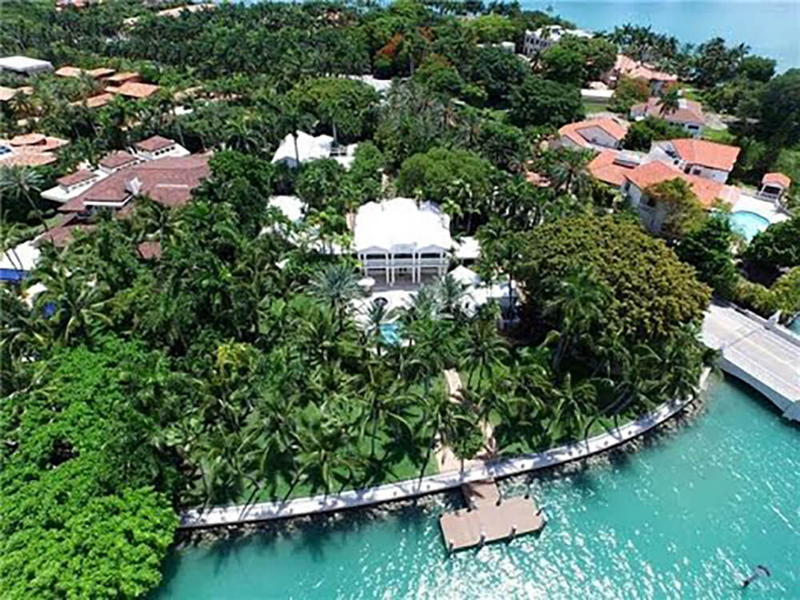 Forbes took a whack at describing the property’s world-class opulence, noting that “The man made Star Island in Miami’s Biscayne Bay is appropriately named given all the celebrities that have been known to live there. Gloria and Emilio Estefan, of Miami Sound Machine fame, are just two of them (other big names include Rosie O’Donnell, Sean “Diddy” Combs and Shaquille O’Neal). The house is listed by Stephanie Bienstock and Liz Lopez of RelatedISG International Realty. “The property showcases the best of everything Miami has to offer—stunning waterfront views, unparalleled luxury, and now, a once-in-a-lifetime creative partnership.” Alex Vidal, president of RelatedISG International told Town & Country Magazinel.